Dave Hakkens, the Phoneblocks designer, wrote in a blog post his reactions concerned with Google’s Project Ara. It seems that the company left behind the original idea of the project and its creator finds faults in the recent modular phone design presented by Google. In 2013, the Dutch designer, Dave Hakkens, conceived the idea of having a phone that would reduce electronic waste. The modular design was created and designed by him. In a video, he presented modular smartphones, which means that the phone’s components (also called blocks) could be replaced by other modules. Each component conforming the phone’s skeleton would be separated from other modules, making it possible to replace broken “blocks”, to expand any device’s functionality or to upgrade a specific block. Phoneblocks project was well received by consumers, who were amazed about the possibility of interchanging obsolete parts of their phones by new ones, without the need of getting a new phone in a short period of time. Since the modular smartphone concept was announced, Google and Motorola have been working on the materialization of the project, Project Ara, but, according to Hakkens, they lost the soul of Phoneblocks on the way. With Phoneblocks concept, Hakkens aimed to present phone’s developers and manufactures, a device for the future, which would contribute, besides, with the reduction of e-waste output. During 2016 Google’s I/O conference, the company released Project Ara, a modular smartphone project inspired in Phoneblocks concept. Even if Hakkens is happy of witnessing how his “phone for the future” takes shape, the creator believes that Google is developing a quite separate design from the original concept of Phoneblocks. After analyzing the features of the recently launched Project Ara modular smartphones, Hakkens expressed his inquietudes by writing a blog post entitled “Re-think project Ara”. In his post, the designer goes back to the main idea of his Phoneblocks project, and, at the same time, he itemizes the specs of Project Ara modular devices in order to show how new Google’s modular phone differs from his Phoneblocks. Although Google’s recent modular project has received good reviews, just like the project did in 2013, Hakkens is not pleased about the direction the project has taken. Among other aspects, Hakkens highlights three main points related to Project Ara launch. First of all, and the main point that inspired the blog, Project Ara group have changed the design. In the second place, they created a new website where it is flashed a slick video to introduce the slinky-customizable phone, and to crown it all, they have set a commercial release coming up next 2017. Hakkens finishes his post by encouraging Google to take advantage of modular devices and by saying that there is even so much more work to do about this technological concept for future smartphones. 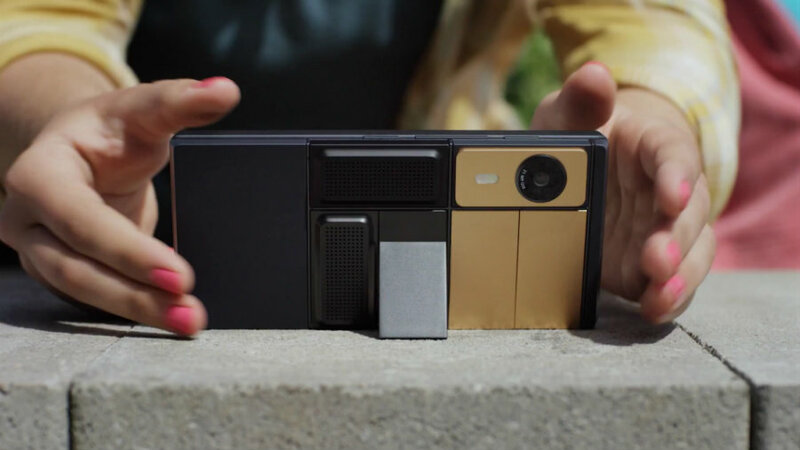 Hakkens listed three important changes Google has made with its Project Ara. According to him, these changes are “a big deal” because of the way it goes away of the main idea of a modular phone. It seems like the Ara modular phone is not a modular one. Hakkens has stated that the frame of Ara contains the important components of a smartphone (CPU, battery, antennas, sensors and display); which means that if any of the key parts of the “modular” is broken, it cannot be replaced because it is contained in the main skeleton of the device. That is exactly what Phoneblocks idea aimed to avoid. Hence, Ara smartphone does not share the main specs of modular cell phones design. Regarding the second crucial change in Project Ara, Hakkens has said that he is very pleased with a single aspect of it; Project Ara design is more cubical from the Phoneblocks design. He says it is aesthetically nice, but, concerning lifespan of the phone, it does not bring any advantage. Google changed the “blocky appearance of the device by giving up to the basic nature of modular phones. According to Hakkens, the functionality of a lasting device comes before its design. Finally, Hakkens expressed his concerns about the fact that Google is not creating “a phone for the entire world”. In fact, this concept belonged to the Phoneblocks projects. The designer wanted to create a standard modular platform, from which, manufacturers and developers could create their own modular components. However, this aspect has not been considered by Google with Project Ara. Hakkens said the company is building its own ecosystem of modules. So, Ara modules will be compatible only with brand’s modular devices. This fact will increase other manufactures modular outputs, which means than every day, lots of different modular components will be created and this way, reducing e-waste will become hard to accomplish. In the promo video, Google refers to Project Ara as a device “containing all the functionality of a smartphone”, and it certainly does, but Hakkens is concerned that the device’s frame is not a modular one. Modular phones have been conceived with the aim of giving users the possibility of replacing its broken modules. Moreover, the Dutch creator of Phoneblocks has said that the only 6blocky modules of the phone are those placed at the back of the phone and they are just changeable components (camera, speakers, scanners, etc.) to make it “more fun”.